The Parthenon Company Blog - Specialists in Wound and Ostomy Supplies: Salt Lake City, Utah Ostomy and Wound Supply Company Attends National Ostomy Conference! Salt Lake City, Utah Ostomy and Wound Supply Company Attends National Ostomy Conference! This September the United Ostomy Associations of America (UOAA) will host its 10th anniversary at its national conference in St. Louis, Missouri. The Parthenon Company, a discount medical supply company, is excited to attend the event. The entire event runs from September 1 through September 6 and will be hosted at the Hyatt Regency at The Arch along the Mississippi River. A wide assortment of sessions and speakers will center on information for patients who have had ostomy surgery, more specifically an ileostomy, colostomy, or urostomy. There will be sessions for ostomy support group leaders on how to strengthen the group, introductory sessions from ostomy manufacturers, several social events, a clinic for individuals to meet with a Wound Ostomy Continence Nurse (WOCN) for a stoma exam, the exhibitors hall and many more workshops! This is an excellent event for anyone with an ostomy or who has a loved one with an ostomy. The Parthenon Company is a discount medical supply company based in Salt Lake City, Utah that specializes in ostomy and wound care supplies. It has served its patient population spanning the entire country for over 50 years. 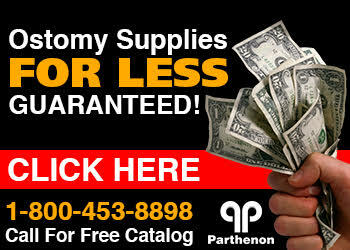 Parthenon publishes the largest ostomy only catalog in the country and offers significant savings to anyone purchasing ostomy appliances as well as wound dressings. We carry all brands especially, Coloplast, ConvaTec, Hollister, Nu-Hope, Mepilex, and Medline wound dressings.